The valve does not close/seal 100%. I made the plunger loose to prevent siezeing. It doesent need to seal anyway, it is (shuld be) allways half open any way during operation. All it has to do is restrict the air flow enough for a perfect 50/50 mix. Wow, I just had to bookmark this one. Thanks for the drawing. And what Tom said. Kristijan! I’m looking forward to see what kind of lambda voltage you get when running the automixer. I thought the automixer that Chris made moved double butterfly valves - one for air and one for gas. This one looks like it just is for air. I often wondered why just an air valve wouldn’t work. Can’t wait to see how this works as it looks like a simple way to go. Does all the air that the 2.3L engine breathes have to go through that small hole in the automixer casting? Seems a little restricted to me. Hi Don , Chris put a Ford 150 double throat throttle body ahead of the trucks throttle body. The two wood lines after the gas valves join together and become one two inch line. The gas goes into one side and air goes into the other side of the throttle body intakes . Just a head of the air side is a valve that is controlled by the auto air mixer. The ford throttle body is connect the trucks throttle body with a cable linkage so they open together and close. Two vaccum lines are connected just in front of each of the Ford throttle body intakes, the lines go to each side of the auto mixer canister with the plastic in between. The Vacuum lines are disconnected in this picture. The filter is removed from the air valve so you can see the linkage connected to the valve and auto mixer canister. Just above the canister and to the right is the Ford throttle body. Thanks for the thumbs up guys. JO, sounds like a blessing to me as much as l like DOWing, l am a first class “zapečkar” as is the term here. The translation wuld be something like “the one who doesent move from the house stove”. Being home on our small farm is better thain any caication to me. Don, like Bob sayd, the automixer does only operate the the air valve. Correct. Keep in mind l use a tiny gasifier. Its rather restrictive. Now l use a 1/2" ball valve for the air adjustment. Its open 100% and it gives me best power, when l start to lose power (and the O2 sensor starts showing lean) l close it a bit and know its time to shake the grate. That usualy happens arfter about 60miles of driving. What is the necessity of the “twin flaps” Ford throttle body? The way I see it is when they both open together you should be getting close to a 50/50 air/gas mixture right there providing the vacuum is equal on both sides which is the job of the diaphragm and air valve. Kristijan, do you think your automixer will work without the “twin flaps”? Now l use a 1/2" ball valve for the air adjustment. Its open 100% and it gives me best power, when l start to lose power (and the O2 sensor starts showing lean) l close it a bit and know its time to shake the grate. That usualy happens arfter about 60miles of driving. the gasifier with coal seem to be easier to adjust (from the point of view of the ratio air / gas) than the gasifiers with the wood! Is this an impression? I can not answer that for sure. What comes to mind is that H2 has a wide air ratio band so a gas with more H2 would be more forgiving. Looking forward to KristijanL’s comment. I believe that the double valves allow to instantly obtain the pressure differential so that the membrane works as soon as the engine is started. Hydrogen’s faster flame speed and wider A/F ratio do make things a little nicer. Somewhere I heard that our temperatures are below the H2O cracking temperature. What we have instead is the hungry hot C ripping off the O to give CO and H.
I think woodgas has more H2 because of the raw wood. H is a free radical? If so, in a matter of no time it would become H2? Our gasifiers do not use only heat to crack the H2O, they use hot charcoal. That stands for woodgas or charcoal gas. Correct me if I’m wrong. Tom, not exactly. Garrys description is better. 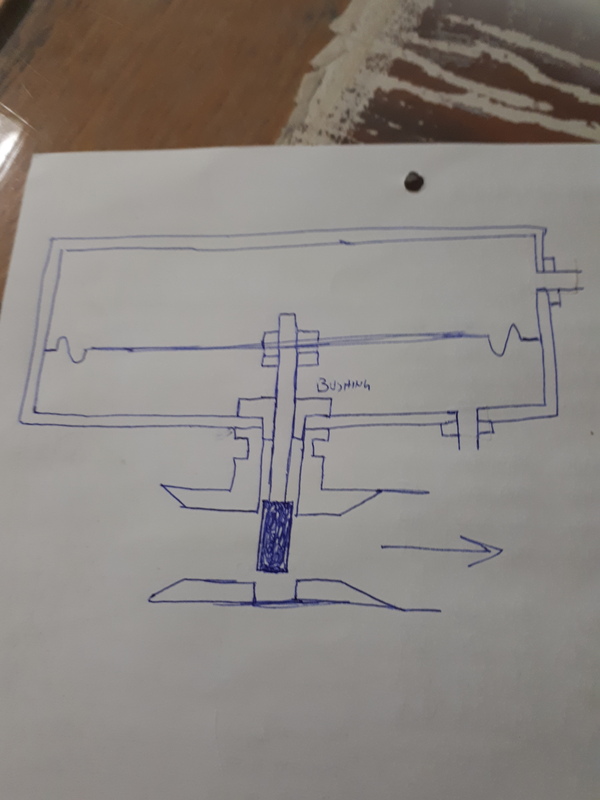 Don, as l understand, the job of the twin flaps is to eliminate the small pressure differences that can occur from different reasons like drag, hydraulic ram effect, … but to answer your question, l had them on my Chevy but then l realised, most of the time l drive preety much WOT so the twin flaps just become a Y manifold so l diched the flaps and the automixer worked just as well. And what Thierry sayd on startup! Plus there is one more advantige to twin flaps, when you start the startup fan, the automixer closes the air 100% automaticly. l tryed to hook it up the other day and it did not wotk with my pipe setup. The 90° T is not good for a automixer, it just cant equalise the pressure well enough. It mixed way to much air in. This was kind of expected thugh, l will make a symetrical pipe system when this week when we have some rain forecasted. Hi Don, on the gas side there is a vaccum restriction caused by the gasifier, up to 30" at times. On the air side very little vacuum is created, just the filter. The air valve will close to equal the vaccum of the gasifier, this will create a 1:1 ratio of wood gas to air mixer. It is all ways changing because of the road speed changes, going up hill, down the hill, stop and go driving. The auto mixer seems to me to be a fine tuning device. Just out of curiousity, l tryed the automixer once more yesterday. To much of my surprice, the motor run! And more, it run great! I went for a drive, all run so well. Steady idle, good power. What realy surpriced me was the usefull range of the throtle expanded drasticly. 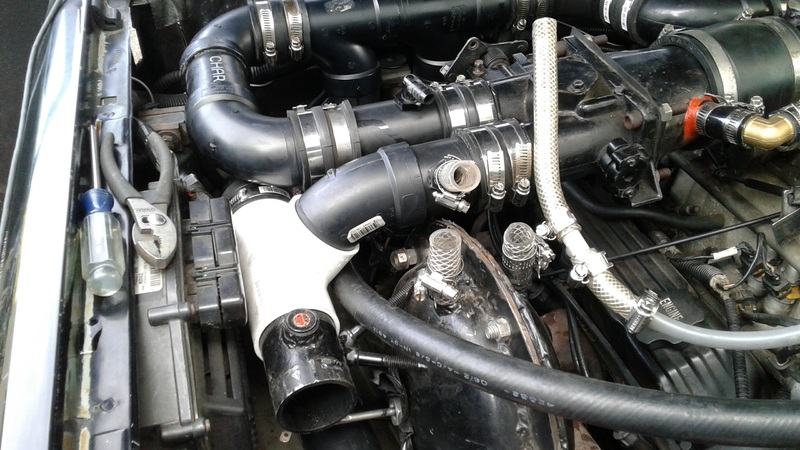 Runing a manual fixed air seting, l usualy set the a/f ratio for best power at WOT. But, at any other position, the AF ratio is slihtly off. O2 sensor showed this too. This means at say 1/4 throtle the af ratio is off, the burn not efficiant as it culd be, and you are forced to press the pedal more. In practice, my drive performance looked like this; at TB closed, engine idles. Tb 0-75% there is some power but quite useless. Tb 75-100%, engine pulls strong. But not with a automixer. The tb opening vs power output is much more linear. Anyway, joy didnt last long, coming jome from 5 mile roundtrip l wanted to make a video, but the engine refused to run at all. I saw there is wery litle hopper vacuum, looked at the filter and it was plugged again (cleaned 5 miles ago). This confirms my suspicion l have a cooler full of dust and it just dumps it in the filter. Time for a cleanout. Allso, what l noticed, with a manual fixed air setting, after a short stop, l can restart the motor right away on old gas. Automixer doesent start it at all! I need to start on petrol then swich to wooodgas.